Sometimes it is important to say goodbye to certain moments and leave them behind. Otherwise there is no way one can move on and conquer new hights. Whenever you give up on something old and unnecessary, you can be sure that more opportunities are coming in. Hence, there is more probability for you to enjoy the positive moments. The same thing is related to fashion. Why, do you think, fashion brands keep improving their collections and coming up with more creative silhouettes every single time? They have to, as the rules dictate so. Those who are stuck in one spot, do not succeed. Therefore, you also have to make some corrections to your wardrobes and clean up the shelves in preparation for summer. Below is the list of items which you need to recycle or give away as charity. Or else, you can frame the pieces with some fancy and satiristic label. Whatever you decide, the main point here is that you SHOULD NOT have any of the below pieces in your closets anymore! First and foremost, please get rid of these sparkly collars. It does not matter whether they are a part of your outfits (blazers, shirts, dresses) or you wear them separately – just make sure that you don’t see them anymore.This accessory is so outdated that you won’t surprise anyone with it. And what’s the whole point of donning something as boring and predictable as a studded collar? Besides, there are a lot of other options to replace this cliche piece. For instance, saucy pendants in some creative shapes can add a touch of creativity to your look. Or you can dig up a super cool store with handmade accessories and delight yourself with a bunch of exclusive pieces. Another item that must be thrown out of your wardrobe is a peplum skirt. Or a dress. While this trend was on the very top several seasons ago, today you no longer drool over the unique design. Hence, it is not reasonable to sport such an article of clothing. Besides, some designs tend to give an opposite effect: whereas such an item is supposed to give one’s curves a voluptuous look, in some cases it just adds extra and unnecessary volume. Plus, we have seen so many variations of this trend that my stomach gets sick whenever I see another one. Regardless of how much you loved your peplum skirt or frock, get enough courage to trash it and feel the fresh air coming into your lungs. Jumpsuit is another item you need to bury. I agree that it is super comfortable to wear and you don’t have to bother with matching top or bottom. Yet, you really have to abandon it. For one thing it does not and has never stressed the beauty of your body. In fact, your body looks like one solid piece which does not leave any room for imagination. 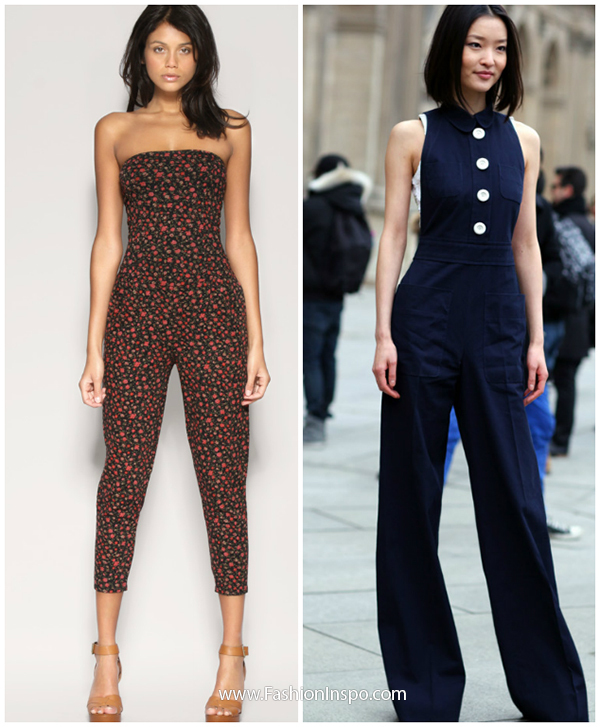 Besides, jumpsuits are normally designed in one pattern or texture – hence your outfit is quite boring from the very beginning. Also, isn’t it fun to spend hours trying to find a perfect match for your new pants or shirt? With a jumpsuit you completely lose such an opportunity. The color trend that has won hearts and minds of millions of fashionistas around the world is about to vanish from our memory. Or at least it should be moving in that direction. 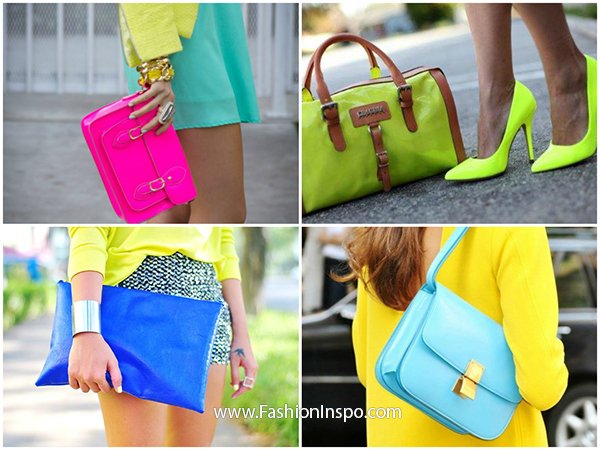 Neon shades are by all means super bright and catchy, especially when they are combined together. However, it is no longer fascinating to spot a lady dressed up in a bunch of contrasting colors. You can see such a look every day. Whenever uniqueness and creativeness flow into the popular market, the very essence of the trend is being lost. This is exactly what happened to neon shading. Instead, you can turn your attention to more moderate and delicate hues – by the way, pastels are on trend now. So rather thah walking the streets of your city in a splash of color, demonstrate your perfect sense of style and opt for exquisite and elegant color palette. This will give you both more weight in the local fashion community and an aristocratic image. Finally, something you should definitely forget about has to do with these lovely and colorful printed pants. You ought to find enough strength and say NO to these pants. They are not sophisticated, creative or cool anymore. When there are ten of similar pants showed off by random ladies in the subway, one has to really start questioning. Do you really want to be confused with one of those ten girls? I bet, you don’t. Style is first of all about individuality. The moment you get influenced by the common tendencies, you lose your style. These were the trends you have to forget about.They are no longer saucy, cool and appealing. More stylish updates are coming, hence you just need to be patient.